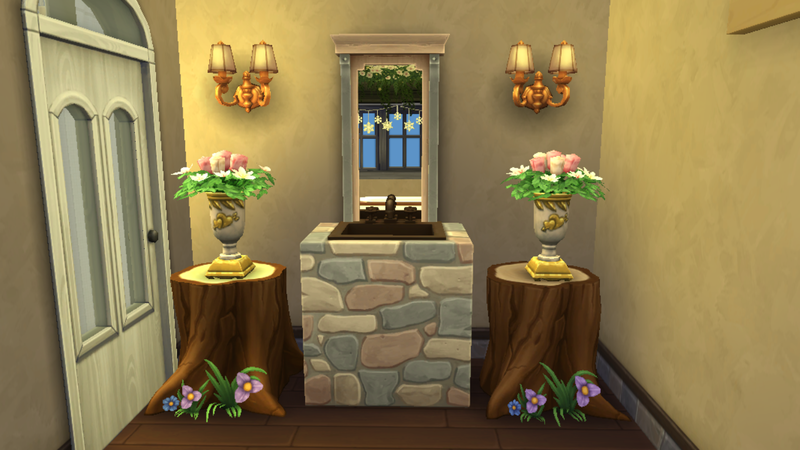 I built this romantic bathroom suiting to Wedding Night Bedroom ,so it can be directly attached to that bedroom if you like.As I used some objects from the free Holiday Pack and The Sims™ 4 Outdoor Retreat in it,you may need that two pack in your game in order to get the bathroom appeared in your game just same as below otherwise those object from that packs will be replaced with random in-game objects.Hope you would like it!!! Download from the above link and extract the file. Copy all the files in extracted folder to My Documents>Electronics Arts>The Sims 4>Tray folder. Start your game and you'll find this room in your Gallery. Please feel free to comment below your feedback or if you face any problem to get the room in your game.